I ran into an aspiring rapper named Young Beedah a few weeks ago - I looked him up online and one of his tunes ['Boston Strong'] made it to Fenway Park last season as the 'walk-up music' for then Boston Red Sox catcher Jarrod Saltalamacchia. 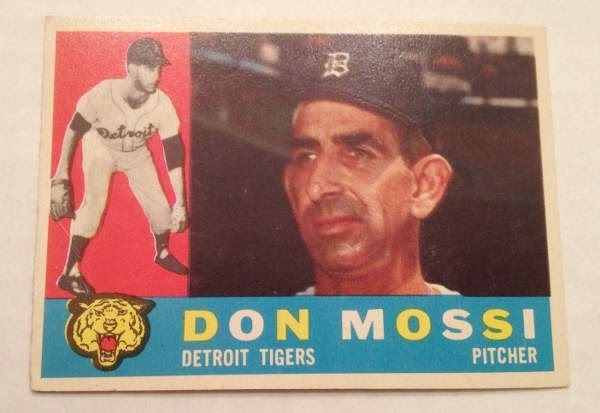 I'm pretty sure the 'obscured' player behind George Bell is Reggie Jackson - I was randomly browsing through eBay when I spotted this and while it's worthless, I want this sticker for my bonus babies collection. 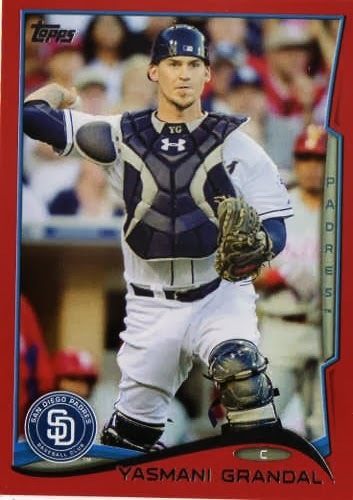 I won't list the base cards because I feel like they are redundant - but I pulled a Justin Upton short print, so that's my 'big money, three dollar hit' on eBay. 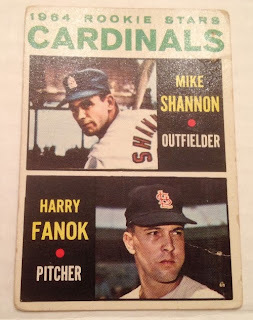 I'm listing the other inserts / parallels I pulled - I just grabbed a random hanger box and didn't realize some boxes don't actually have the Target red bordered parallels in them [unless explicitly marked on the box], so I was out of luck there. I sent out to David Holmberg c/o Cincinnati Reds [spring training], Jacob Turner c/o Miami Marlins [spring training] and Wade Boggs [retired] - I'd rather focus on the occasional in-person autograph opportunity I may get, than take the time to put together autograph requests when many more active players seem to hoard their mail. I like getting something in the mail as far as a SASE with the card(s) I sent to a player - but even if a player gets to responding to all the requests sent to him at some unspecified time in the future, it's a snail's pace to get something back, even for non-stars. I'll let the guys who don't live relatively close to a MLB stadium enjoy their Josh Hamilton or Clayton Kershaw TTM successes - I'm worried more about getting back the rank-and-file I might end up sending to in a relatively reasonable amount of time. 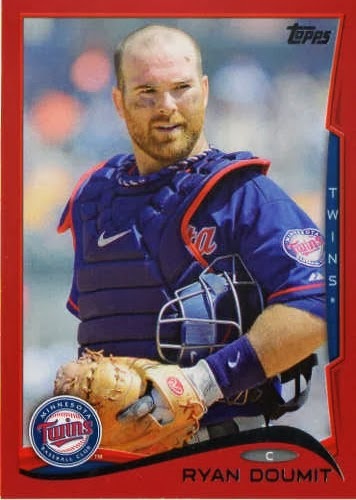 Shows what I know, but I missed the boat on collecting his best cards when he was first drafted - now, I'm probably just picking up random cards of his that look cool, like this 2014 Topps framed rookie reprint serial #'d. 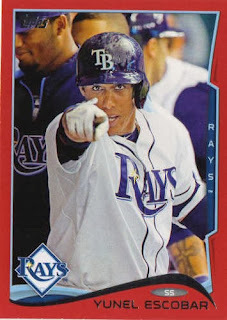 I wish I'd picked up a first-year autograph from 2009 when he was just another prospect before the 2010 season - though I have in-person autographs I've gotten over the years, as far as collecting cards, they just don't count. 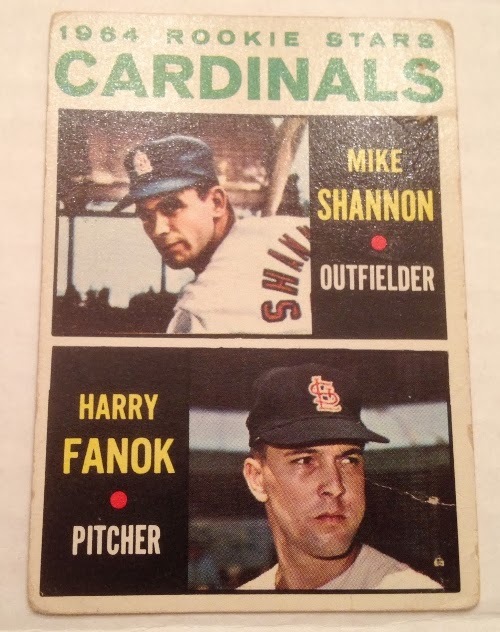 I'm not really familiar with vintage / old school cards so I'd rather not get caught up in digging through vg-ex beaters featuring rank-and-file players - still, holding cardboard 'relics' that maybe 40-50 years old is pretty neat and maybe gives me a peek into the past. 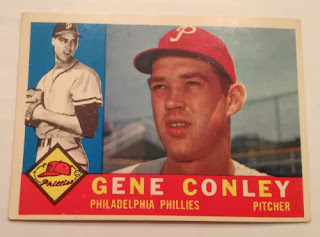 1960 Topps Gene Conley #293 - also was an NBA player, so this card goes into my two-sports stars collection, which consists of cards featuring athletes who may have been notable enough to play professional sports [mainly baseball] and in at least one other sport. 1960 Topps Don Mossi #418 - with his signature good looks, everyone knows about Don Mossi even if they were oblivious of his playing career. 1976 Topps Hal McRae #72 - love the nice, warm hearty laugh on this card of McRae. 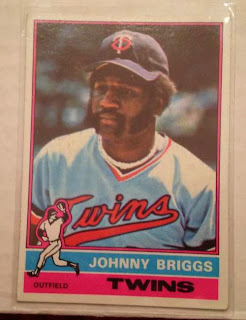 1976 Topps Johnny Briggs #373 - contrasting with the morose 'non-expression' Briggs gives on this card. 1977 Topps Mike Miley #387 - another two-sport star, his life was cut short, after spending parts of two seasons with the California Angels. 2011 Topps Allen and Ginter Cody Ross #312 - I picked up a partial lot of 2011 Topps Allen and Ginter short prints for about $7 several years ago, though Ross wasn't one of the cards included. I remember him more as a manager with the Philadelphia Phillies and Toronto Blue Jays from the early 1990's through the early 2000's than as an actual player - the first time I probably heard of him was when I stumbled upon his 1987 Topps card when I was a kid getting into card collecting. Of course as an Angels fan, I've learned more about Fregosi as one of the franchise's best ever position players at shortstop - he had an early start to his MLB playing career, but seemingly past his prime as he hit 30, he was infamously traded to the New York Mets for Nolan Ryan and three other players. Supposedly this upcoming season will be Derek Jeter's last as a MLB player - while I have no particularly affinity for any of his particular individual accomplishments or 'team achievements' i.e. five championships rings, what I'll miss most about Jeter is the idea that this guy played to win and nothing else mattered. Jeter was built up as a guy who was great competitor and even though his year-to-year numbers were not quite as dominant as the stat monsters of his era - he had the ability to focus and be in the moment, a guy who came through at the most opportune moments. He generated hit after hit and made highlight reel plays on defense - even though that part of his game has been derided for years by a collective group of people smarter than everyone else. Among the other things I'll miss about Jeter are the little clips that might capture his personality, his mannerisms perhaps - the fist pump, and maybe a 'loose, confident smirk' here and there. Unlike his notable teammate who went on a 162-game sabbatical recently - as 'polished' and maybe as 'made up' as Jeter might be, you'll never catch Jeter talking out of both sides of his mouth. While Jeter is a pretty private guarded guy off the field with a reputation to uphold - he's also been matter of fact in the interviews I've seen and has always maintained the aura of being this down to earth guy with a responsibility towards the game. It's only been two weeks but I think I'm kind of bored done with the base set already - I figured to find some of the more common [retail?] parallel cards out of an impulsive hanger box purchase, so I could see what they looked like in-hand. Bronson Arroyo has signed with the Arizona Diamondbacks and it's hard to believe the Angels haven't made a bigger push for someone like him - though I like the Hector Santiago and Tyler Skaggs acquisitions as far picking up two young guys who can potentially be viable starting pitchers, I was hoping the Angels could pick up a durable veteran who can pitch around 200 innings for at least the next couple of seasons [even though Arroyo is closer to 40 than to 20]. According to what I read, the Angels put out an offer to Matt Garza, but took it back quickly, so Garza ended up signing with Milwaukee - the two key free agent starting pitchers are Ubaldo Jimenez and Ervin Santana. I think either one has shown enough ability, skills and aptitude as Major League pitchers - but maybe there is a certain distrust in either one that make them sort of iffy pick ups. Maybe the Angels should throw caution to the wind and attempt to sign one or the other - however, I don't know if the Angels would be willing to reunite with Santana and Jimenez seems like basically a younger version of Santana, which means neither one is a suitable option unless the Angels. I finally got my hand collated set in the mail and randomly created a Google Sheets file - I cut and paste a 2014 Topps checklist from Sports Card Radio and scrutinized each of the 330 cards [minus the retired #7]. I added three rows labeled 'Collecting Topic 1,' 'Collecting Topic 2' and 'Collecting Topic 3,' to list whether a card stood out as interesting - when I looked at a card, the first collecting topic collection that comes to mind is listed in category 1, then perhaps the card can count for another collecting topic [category 2] and maybe a third [category 3]. I added some comments as whether or not to count a particular card as a new addition [I may already have cards of a particular player from previous years] - as well as cards I'm looking to get autographed in-person. 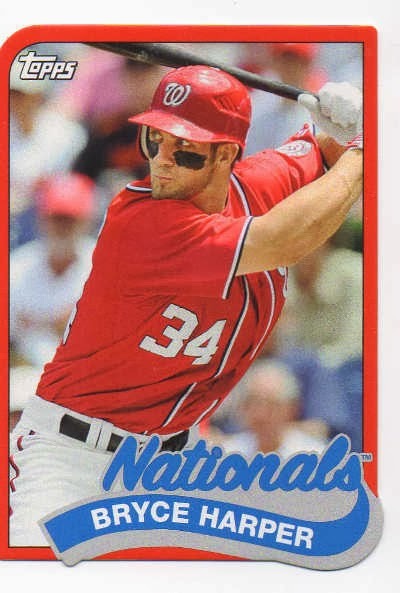 Not quite, but sort of related - is this Michael Young card [#72] the worst card from Topps' Series I set? I picked up this single-signed baseball of Hall of Famer Roberto Alomar at the end of last year through Mill Creek Sports - the ball came with a Tristar COA and a Tristar hologram was affixed to the ball. I thought the ball was nice and clean though it's kind of disappointing to see the hologram is blemished as seen in the pictures - it doesn't affect the way I could display the ball and I didn't bothering complaining, but I always know there is something imperfect about this purchase. I supposedly have a hand collated set 2014 Topps I bought on eBay - hopefully I didn't pick up a set from a seller who can't deliver the goods, like last year when I bought a 2013 Topps Series I hc set that never arrived. I hope the set purchase serves as a ‘preemptive’ strike to purchasing any 2014 Topps packs, blasters, retail jumbo packs, retail hangers, hobby, etc - it doesn’t mean I won’t seek any 2014 Topps cards from the quarter bins at my LCS or buy unopened product, but I’m trying to secure the basic cards before blindly jumping into anymore offerings of this year's flagship brand. A.) Fill out my 1978-present Topps sampler set - maybe a pie in the sky project for me, where I try to pick up a random [or not] card to represent all 30 MLB teams [obviously expansion teams like the Florida Marlins, Colorado Rockies, Tampa Bay Rays and Arizona Diamondbacks will have less cards while Montreal Expos and Washington Nationals are counted as one team]. B.) 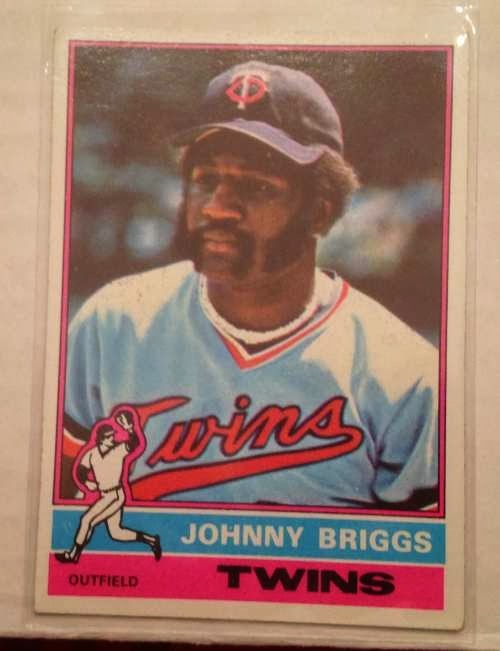 Be able to scrutinize many of the cards for collecting topics - it looks like Topps has put together a flagship set with all sorts of interesting images pulled from Getty Images and put them into cards. I like the idea of randomly discovering cards that are kind of 'fun' in their own unique way - but it maybe more practical to go through a hand collated set of cards and see where I can fit each card. C.) Pick up cards to be autographed in-person - mostly rookie cards and players who may have had a couple of years of MLB experience with not quite a lot of cards out. Even though I'm waiting on a hand collated set I purchased - I tried a 50-card pack for about $12 to see if I could pull something decent like this past break. As the most casual of NFL fans, I started to lean on the idea the Denver Broncos were probably going to roll past the Seattle Seahawks in Super Bowl XLVIII and with no rooting interest - was just hoping the team from Seattle had enough plays on offense to make things interesting, if not pull an upset to make a good game happen. This was Peyton Manning's Super Bowl, this was where he was going to put the finishing touches of his legacy as the best quarterback whose ever played in the NFL - if I had a dollar for every time I read a Facebook comment [on ESPN stories] or other forums about Manning was going to throw at least 3 or 4 touchdowns with 300-400 yards passing, while giving Richard Sherman his comeuppance, maybe I'd be a hundred dollars richer by now. Every fan, every pundit made it so much about Manning - not that Manning hasn't deserved the accolades as an all-time great, but the love has gotten to be too much at times and it's nice to see the narrative flipped. There was such intense feelings of schadenfreude when the game was unfolding in an eventual 43-8 thrashing of Manning's Broncos - I'd pump my fist or yell when Manning's duck passes would be picked off or the Broncos' drive would fall short. It reminded me when Manning was at his postseason peak and I had this irrational desire to see him get smacked around [probably for the same reasons I wanted to see him fail on Sunday] - when his Indianapolis Colts played the New England Patriots in the mid 2000's. Featured autograph - Gary Matthews Jr. When the Angels signed him for 5 years and $50 million back in the winter of 2006 - I must have choked on something because he was the epitome of a journeyman outfielder who capitalized on the big year with the Texas Rangers but was going to be paid like a star in Anaheim. With the Angels, I thought Matthews Jr. played decently in very small spurts, but was stretched out as an every day player - he wasn't a player to get excited about and I probably bemoaned his existence during his time as a Halo. While I still have at least 5-10 of his cards, I ran into him a couple of weeks ago and got him to sign a blank filler card that comes out of packs - I wasn't going to get him but I needed him for my Angels autograph collection and if nothing else, I can actually say I got his autograph in-person when I thought he wasn't particularly accommodating when he was a player.